In this town, you can’t walk down the street without having someone run past you. On any given hour—no matter if you’re making the morning commute or just stepping out to happy hour—you’ll pass half a dozen runners hitting the streets. Capital Area Runners (or CARs, if you speak DC runner) is a fairly competitive group centered on long distance training. Its 200 members span from the intermediate athlete to Olympic marathon qualifiers, bringing a wide range of talent to the group. Organized runs are held six days a week, with coach George Buckheit attending almost every one of them. 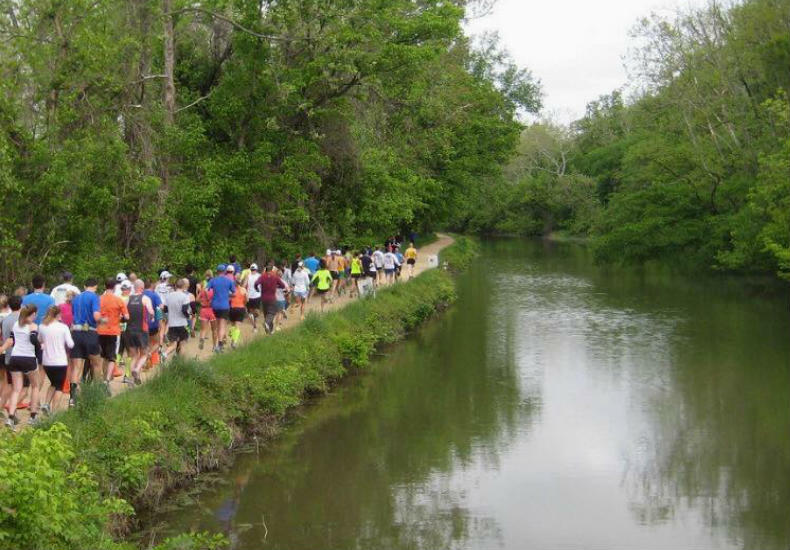 If you’re just starting out, join in Wednesday evenings for a recovery run at Road Runner Sports in Falls Church, or hit the C&O Canal Saturdays or Sundays for a morning long run. They also offer a (paid) distance training program that meets Tuesday, Thursday, and Friday. Expect everything from distance runs to interval track workouts, and tempo runs too! If you’ve ever run…well, anywhere in this city, chances are you’ve passed by a Pacers store. With five area locations, a full race calendar, and group runs held almost every day of the week, this store offers much more to the running community than apparel. 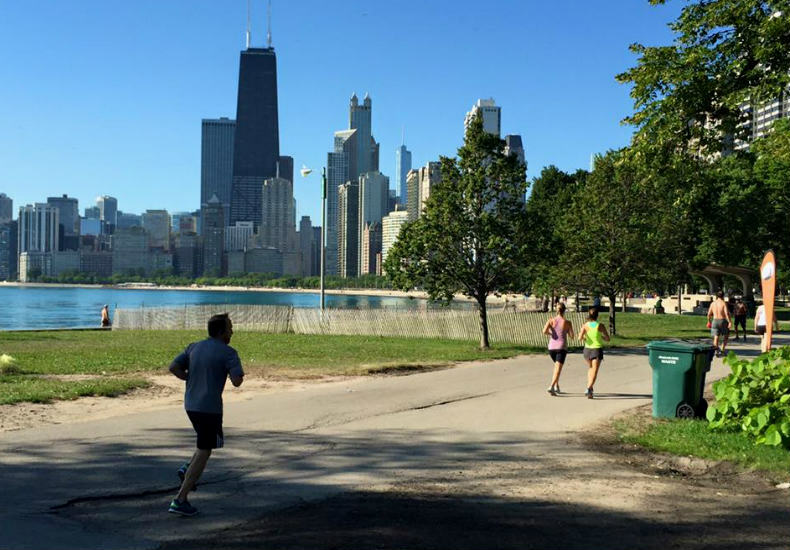 Community fun runs are held Monday, Wednesday, and Friday mornings, as well as Tuesday and Thursday evenings (check out their website for specifics). How do you become a Pacer? By paying an annual fee, you can enroll in a formal training program and train under a coach who will oversee your progress. Interval workouts are held Wednesday evenings, followed by a weekly long run on Saturday mornings. If you ever need someone to run with, just drop by your local PR Running store. Free community runs are hosted by at least one store each night of the week. Routes are run in an out-and-back format, so runners can finish together, no matter their pace. It’s not uncommon for runners to grab a bite to refuel post workout, so if you’re looking for a fun way to get your daily miles in, join the crew! If you’re looking for something a bit more competitive, PR has its own racing team as well. Teammates meet up for informal workouts during the week, and receive free access to PR races. The blue and white GRC logo is a familiar site at DC area races—particularly if you’re located near the front of the pack. If you’re a former collegiate runner or have lofty goals for your upcoming season, you should consider training with GRC. Expert coach Jerry Alexander trains those competing anywhere from the mile to the marathon. Organized practices are held Wednesday evenings at 630 at Bethesda-Chevy Chase High School. For more information, hit up the GRC website. 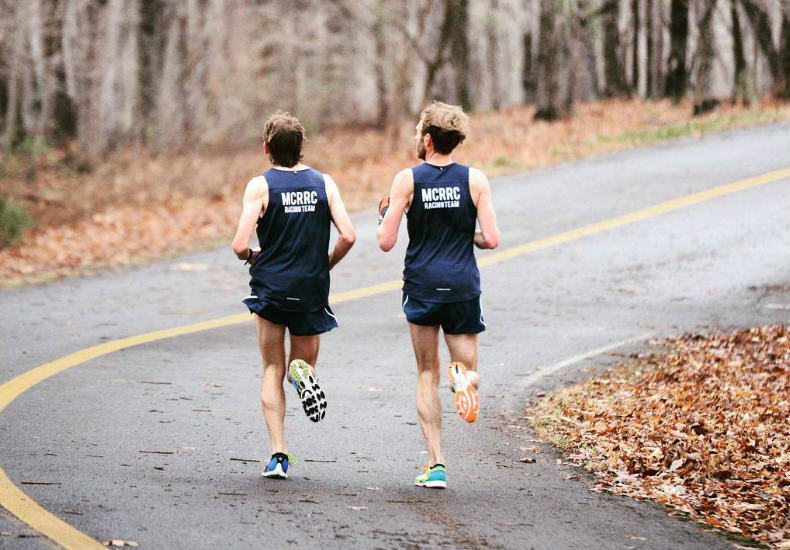 MCRRC is one of the largest running groups in the nation—pretty cool that they’re in our own backyard! Their programs come in individual and family packages, so you can whip the whole gang into shape. Organized practices are held each day of the week, with each run accommodating various fitness levels. They’ve really got something for everyone. Nervous about joining a running group? MCRCC’s “Back of the pack” runs may be the perfect way to get started. Looking for a new challenge? Ask about MCRCC’s racing team and interval workouts. Sometimes, you just need a running buddy to help you stay motivated. We get that. And so do the Capital Striders. DCCS holds group runs every night of the week, and newcomers are always welcome. Runners of all speeds are invited to partake in their group runs, which are held twice per day (most runs begin at 6:30AM and 6:30PM). DCCS meets at Columbia Heights, 14th Street, Chinatown, and the National Mall, so you’re sure to find a location near your neighborhood. 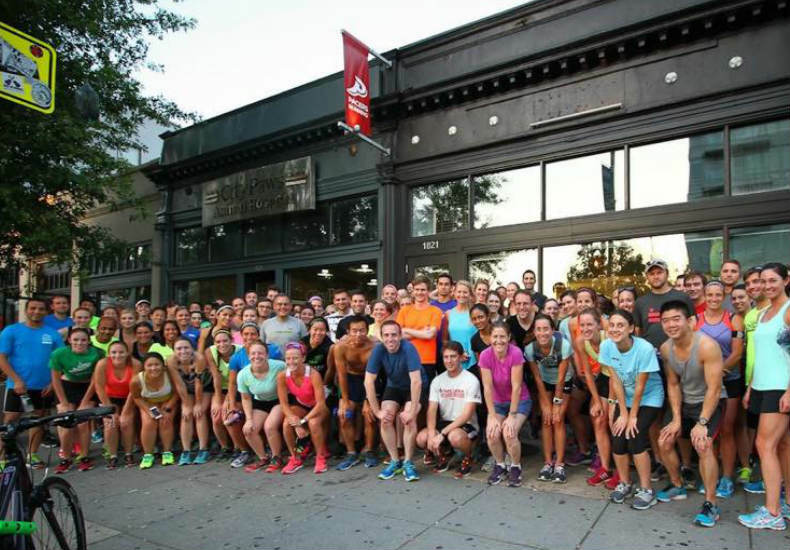 Visit their Meetup page to RSVP for your run of choice, and go see what DCCS is all about. 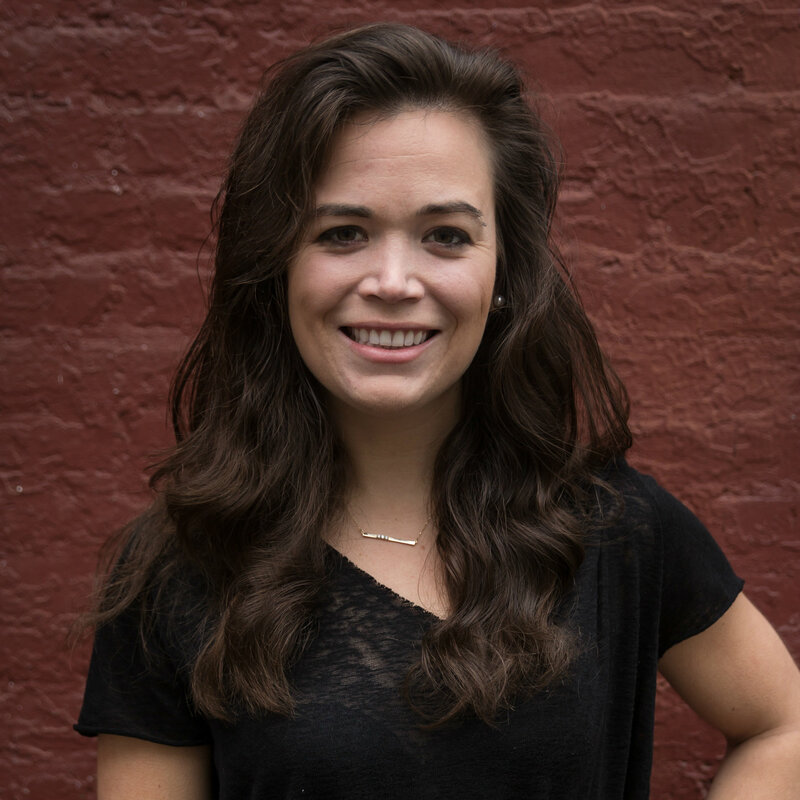 The District Running Collective was founded to promote culture, diversity, and community through healthy living. If you’re someone who believes running’s all about fun, this is the group for you. The collective meets every Wednesday at 6:30PM at the Coupe in Columbia Heights. Oh, and membership is completely FREE (although suggested donations help pay for social activities.) Runners of all speeds are welcome, as the founders hope to make running “less like a chore, and more like a lifestyle.” That’s what we’re talkin’ about. Serving DC’s LGBTQ community, DC Front Runners welcomes runners of all fitness levels. An annual membership costs just $25, and gives you access to all group runs. Runners gather each Tuesday evening at 7:00 at the intersection of 23rd and P Street NW in the spring and summer months, and in the lobby of Union Station from September through March. It’s a blast. 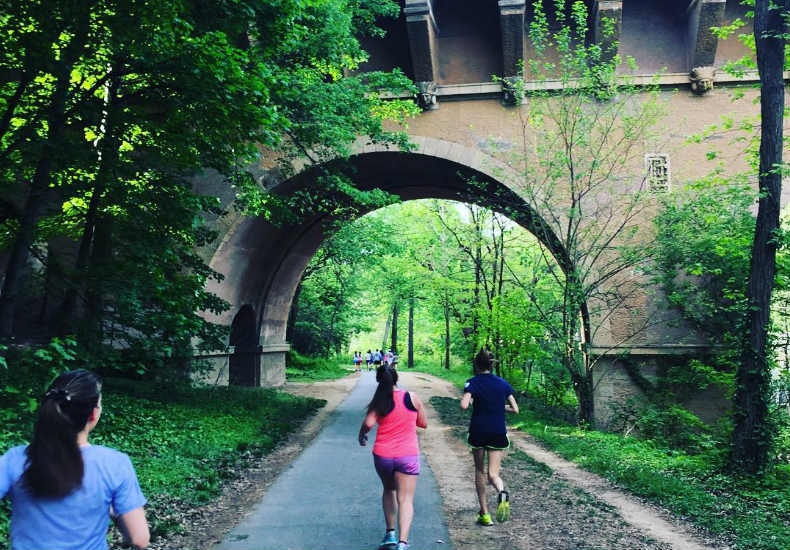 If you’re not much of a runner, but are looking to stay active, join the DC Front Runners for one of their weekly walks. Organized walks are held Saturday mornings and Tuesday evenings, but you’ll often find the group walking together outside scheduled workout times. 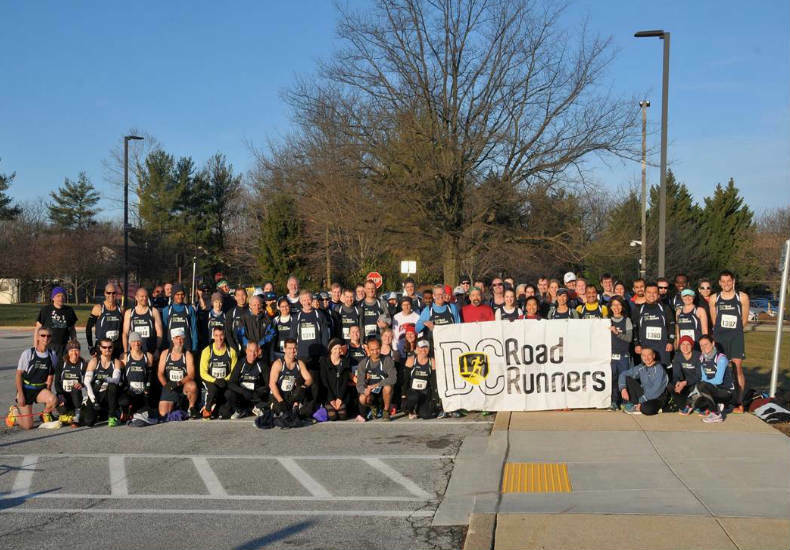 DC Road Runners’ primary focus is promoting running in the community. It’s also the best deal in town, as a $20 annual membership gives you a free entry to 19 races per year. That’s a steal. Lace ’em up and join in for a 10 mile run Monday mornings, a Thursday morning track workout, or a weekend long run. 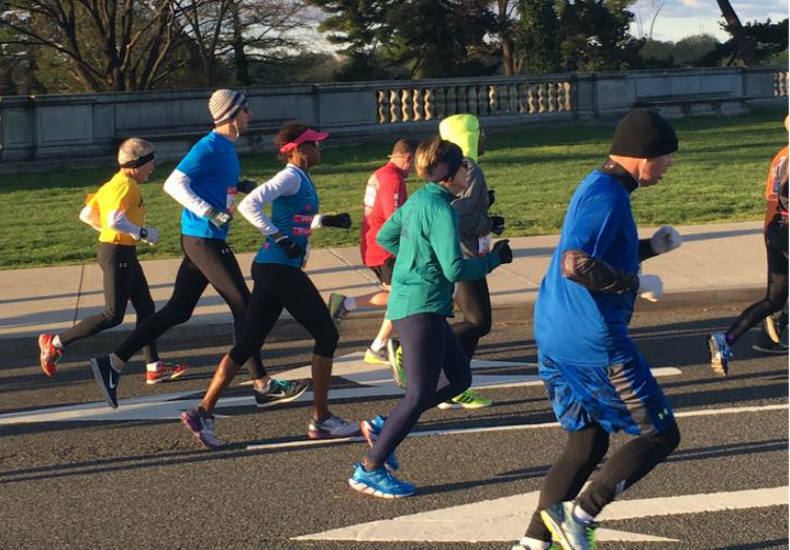 For an additional fee, DC Road Runners can help you train for your upcoming race—offering concentrated programs ranging from couch-to-5k to marathon training. If you’re looking to lead the pack or collect some medals, join their High Performance Training Group. 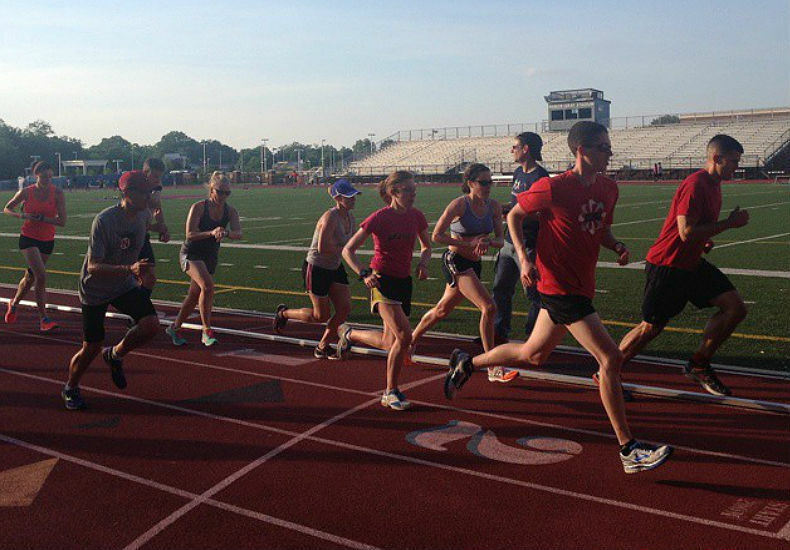 A typical training week includes a Monday tempo run, Wednesday evening track workout, and Saturday long run. If you’ve ever played a team sport, you know the camaraderie team-based athletics can bring. 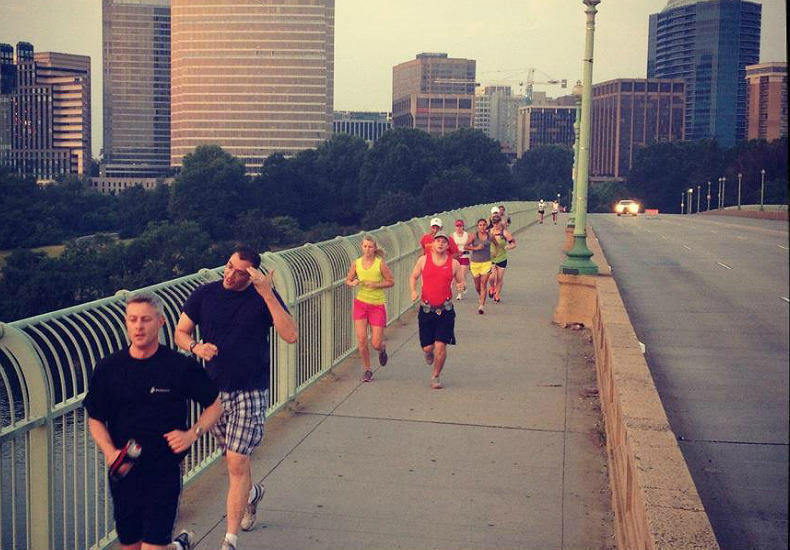 WRC is bringing this same sense of community to the DC running scene. The club grabs coffee together after each run, and participates in social activities throughout the year. While runners of all fitness levels are welcome, WRC is made up of mostly experienced runners. The group meets every Sunday at 8AM in front of CB2 in Georgetown, running anywhere from 8-20 miles. Pacing? They break out into different pace groups during the run (seven-minute, eight-minute, and ten-minute miles) but always joins back together at Dean & Deluca following the workout. An annual membership is just $20 for the year, but that includes the happy hours, volunteer opportunities, and weekly track workouts. The Capitol Hill Running Club started 15 years ago by the Marine Corps Legislative Liaison Office on Capitol Hill. 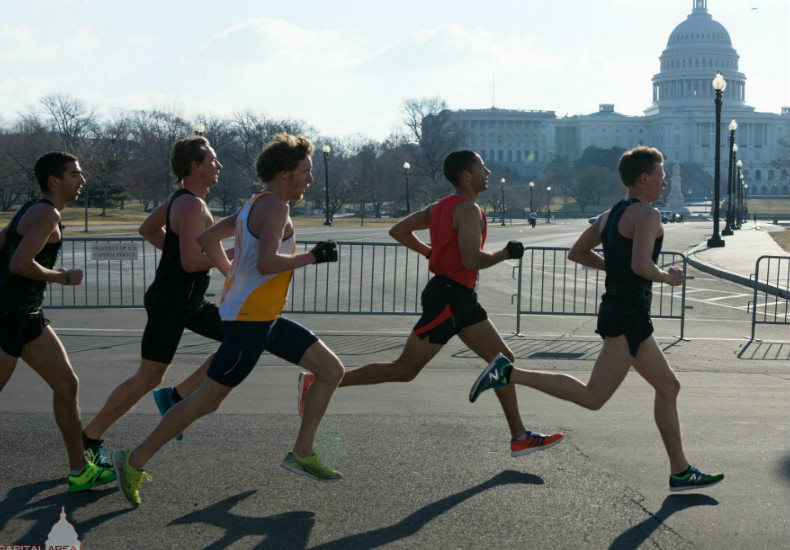 Each spring, the club helps congressional staff members (or the occasional member of Congress) put down the bills and train for the Marine Corps Marathon. There are no fees to join, and all are welcome – even those that don’t run the MCM. In the offseason, the group meets at the Ulysses S. Grant statue near the reflecting pool at 6:30AM every Tuesday and Thursday for a four-miler. A weekly Saturday morning out-and-back is also held, and varies in distance. Rest easy, guys. 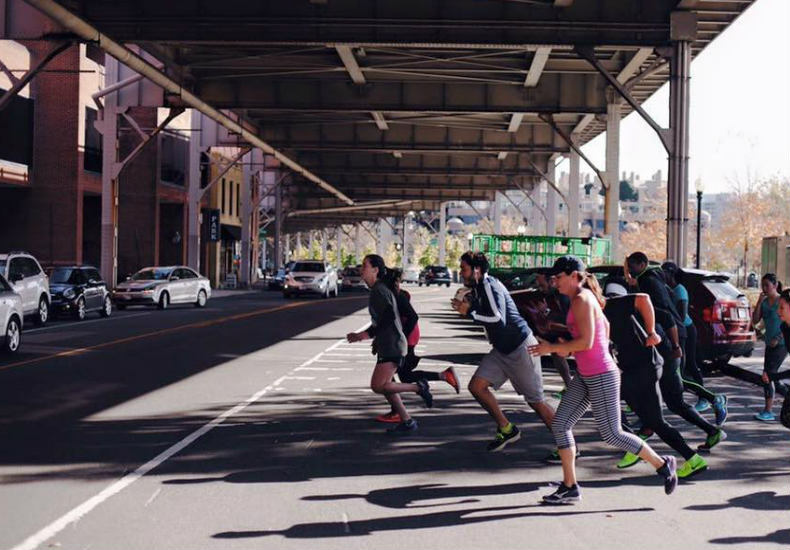 Whether you’re training for Boston or happy with an 11-minute mile, you’ll find someone to run with. 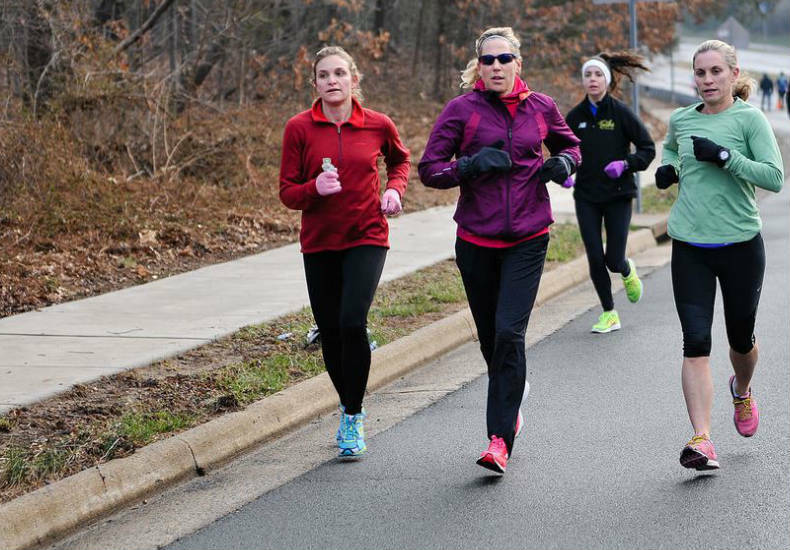 Since the 1970s, the NOVA running club has brought community (and a little friendly competition) to Arlington and Alexandria. Some of the group’s original members still join in for runs—joking that they’re older than the uniforms. Come all ye runners, this club is for everyone—from the former collegiate athlete to those training for their first 5K. An annual membership of $50 allows you to train under a professional coach, while being part of a great running community. Join the group on Tuesdays at 6:30PM at Wakefield High School for an interval (held at TC Williams High School through the spring and summer months) or Thursdays at 6:15PM at Bluemont Park for a tempo.